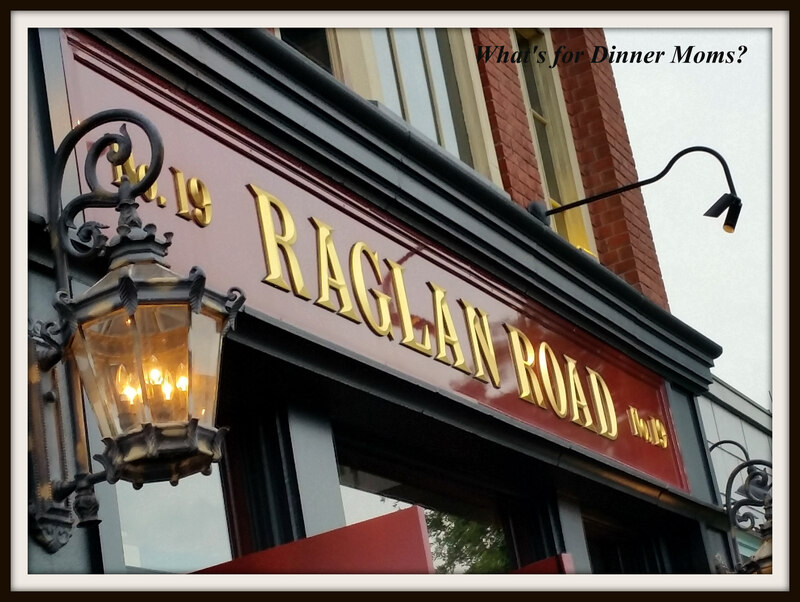 Raglan Road – What's for Dinner Moms? This is one of our favorite stops. We try to make it here at least once every trip because my family loves it so much. The Irish dancers, the music, beer, and food are all perfect for this restaurant. We checked in a bit early and asked to be seated in the main dining room. We let them know that we were willing to wait for a table there as my daughter really wanted to see the dancers and we wanted to listen to the musicians. 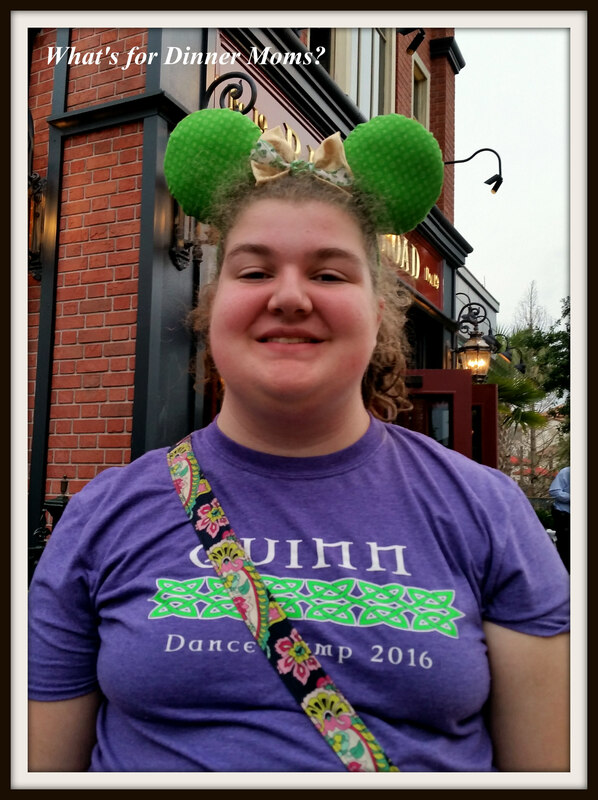 My daughter and her Irish themed ears for dinner tonight! 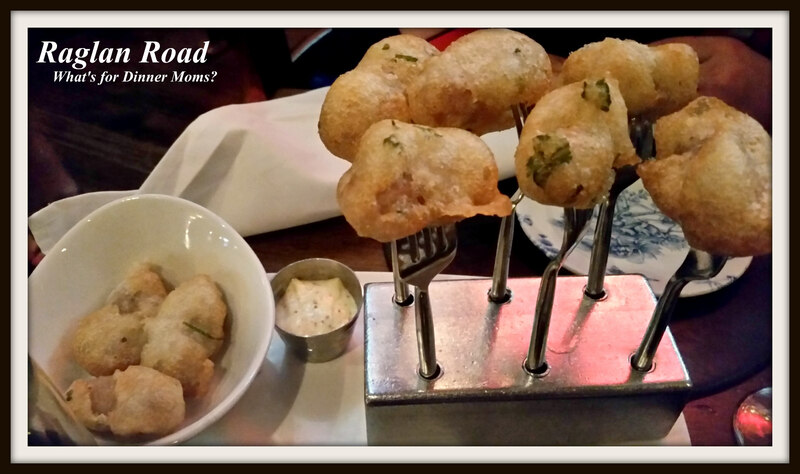 We started with the Dalkey Duo (gluten-free) which is small sausages battered and fried and then served with a Dalkey mustard dipping sauce. We got gluten-free appetizers for my son and honestly you would not have known this was gluten-free except that we ordered it. We also received soda bread with a Guiness and brown sugar dipping sauce. It was yummy! I wanted to just drink the sauce. My daughter who does not like the flavor of alcohol in foods was pleasantly surprised to find she loved the sauce too. 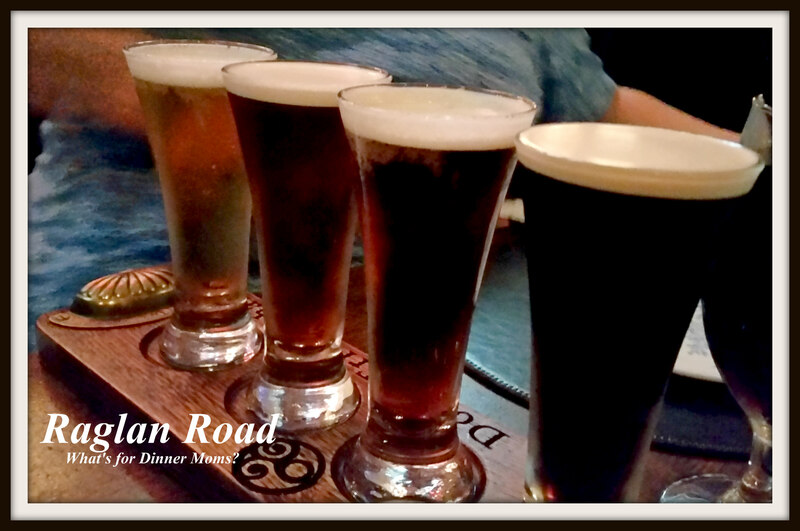 One of the draws of this restaurant for us is the beer flight! 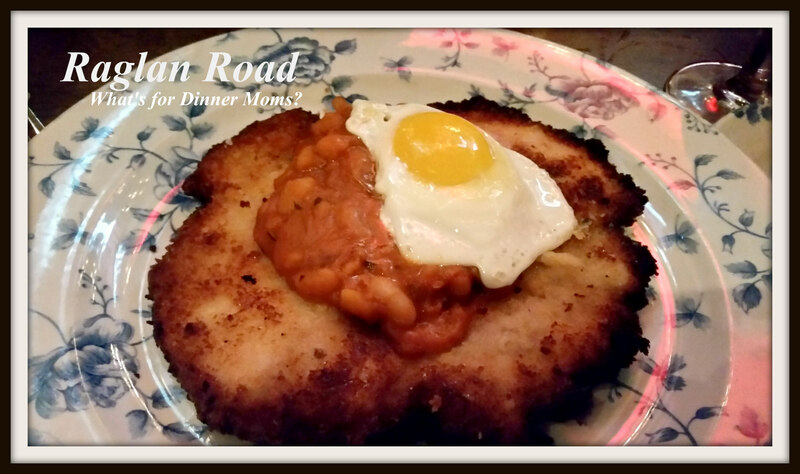 The ham schnitzel was delicious! I would never have thought of this but let me tell you I am going to try making a version at home. Topped with homemade baked beans and a fried egg. I was worried about it being too dry but it was perfectly cooked and the beans added a nice flavor. My daughter had the Brasied Be Beef. She had this dish last time we ate at this restaurant but liked it much more this trip. Previously it had parsnips in addition to the colcannon which is mashed potatoes with cabbage. If you are not a fan of parsnips it was tough and she never thought to order it with just the potatoes. This is tough to see but it was Bangers & Booz. The pictures were taken in a VERY dark restaurant without a flash as I did not want to disturb the diners around us. It was two sausages on top of mashed potatoes with a scoop of beef stew and onions over the top. My son’s meal was the Shepherd’s Pie with melted cheese over the top. He LOVED it! He eats like a king at Walt Disney World. She was so excited to be able to dance on the stage. She did one of her reel steps. She was able to talk to the dancers and got a certificate that said she danced at Raglan Road. 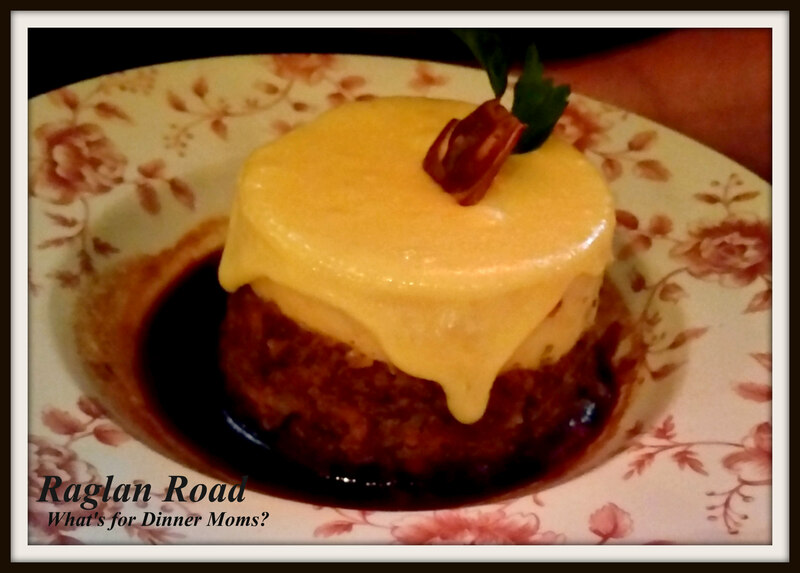 I don’t have good pictures of our desserts but the Bread Pudding was amazing! The butterscotch sauce was buttery and hot. I wanted to just drink the sauce! I would go back again just to get the dessert and have my daughter dance! Thank you! I was skeptical but it was delicious. My son kept asking why I wasn’t eating Irish food. How neat that your daughter got to dance! Brilliant post, another restaurant for my pre- Disney World visit collection. We brought a friend with us to Ragland Road a couple of weeks back for brunch (of course) and though he avidly despises the taste of alcohol, he LOVED the Guinness reduction in the dipping oil! I hate beer and Guinness and I agree that it is amazing. I don’t drink at all, because I don’t like the flavor, but I really liked the sauce. OMG! I’m loving your food journey through Disney. Thank you! I love Disney World and food. What better way to tell the story of our trip. 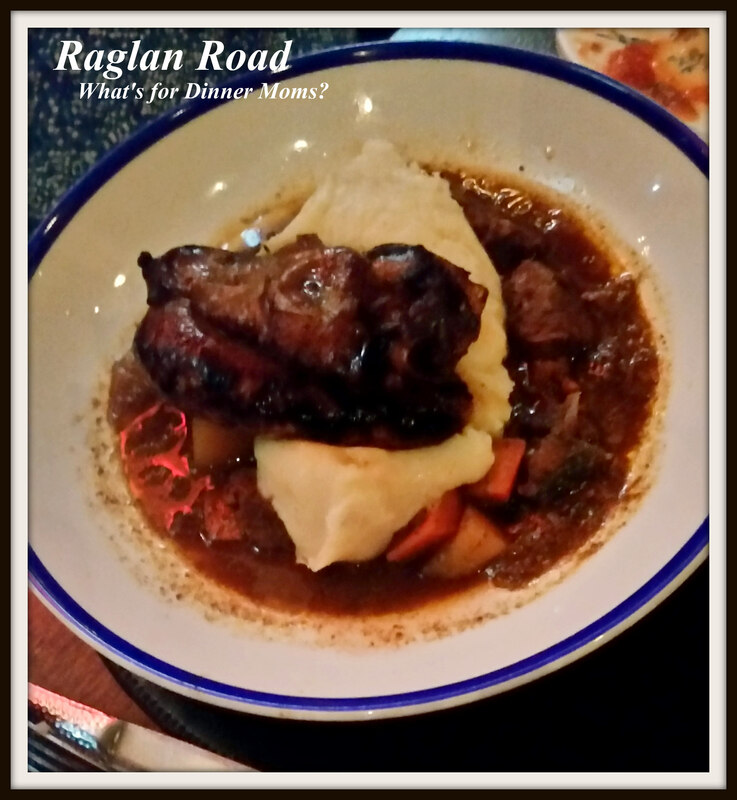 We love Raglan Road, you nailed it! We have tried to make the Guiness with brown sugar dipping sauce at home (reverse engineer), but haven’t quite gotten it. 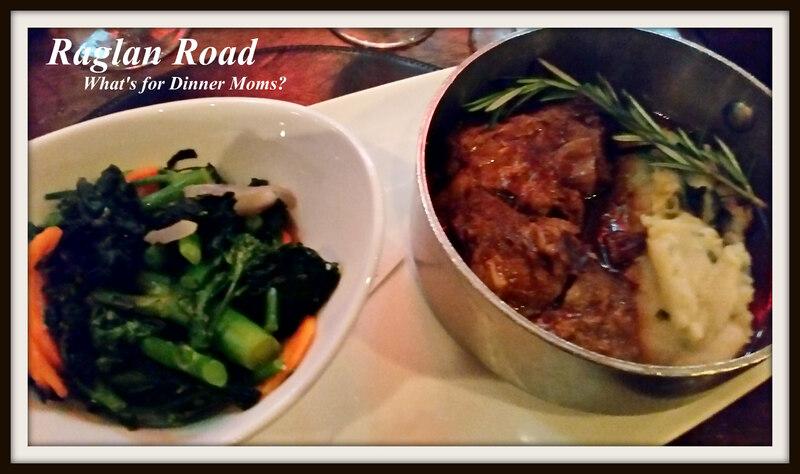 We did get the recipe, but it does not work at home EXACTLY the way it tastes at RR. Anyway, thank you for the lovely content, your kids are gorgeous. – MarytoTheContrary!